Rule out pregnancy in an fertile female presenting with acute pelvic/abdominal pain! 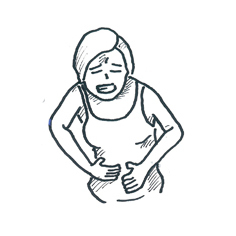 Chronic pelvic pain (CPP): refers to pain of at least six months’ duration that occurs below the umbilicus and is severe enough to cause functional disability or require treatment. Acute pelvic pain: generally defined as pain in the lower abdomen or pelvis lasting less than three months. 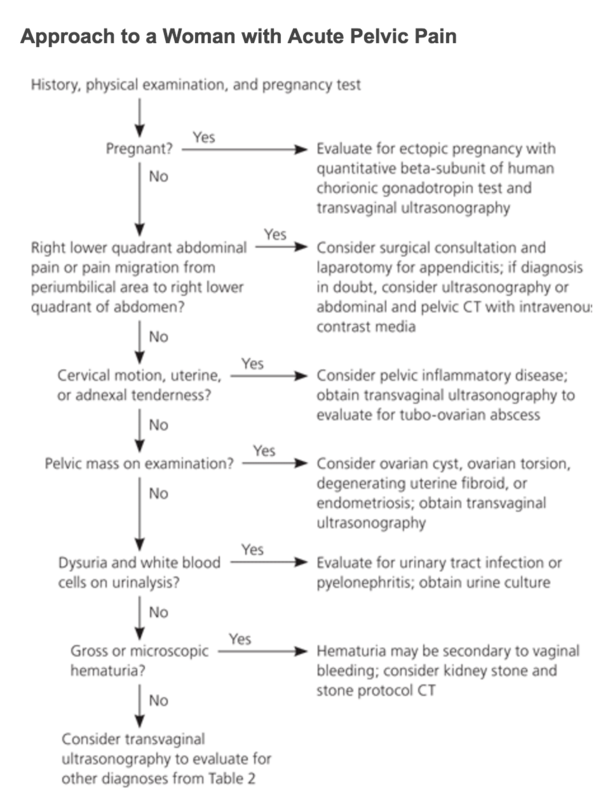 In women, it can pose a challenging clinical scenario in which history and physical examination findings are often nonspecific, and the clinical presentation of each condition can vary widely.